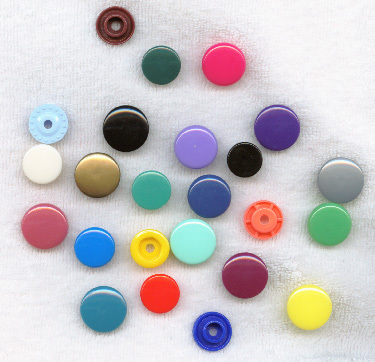 * virtually anything you would use buttons or velcro on!! For a total of 400 individual pieces. Please note: The "clear" snaps aren't strong enough to be used for securing nappies also, clear and glow-in-the-dark snaps are 100pce packs not 400pce packs. Great snaps...awesome selection of colours! Click the button below to add the Size 20 Snaps - 400 Piece Set to your wish list.